Back in 1988, a big time record man thought it would be interesting to bring a Texan to London to spend a week writing songs with one of his artists. 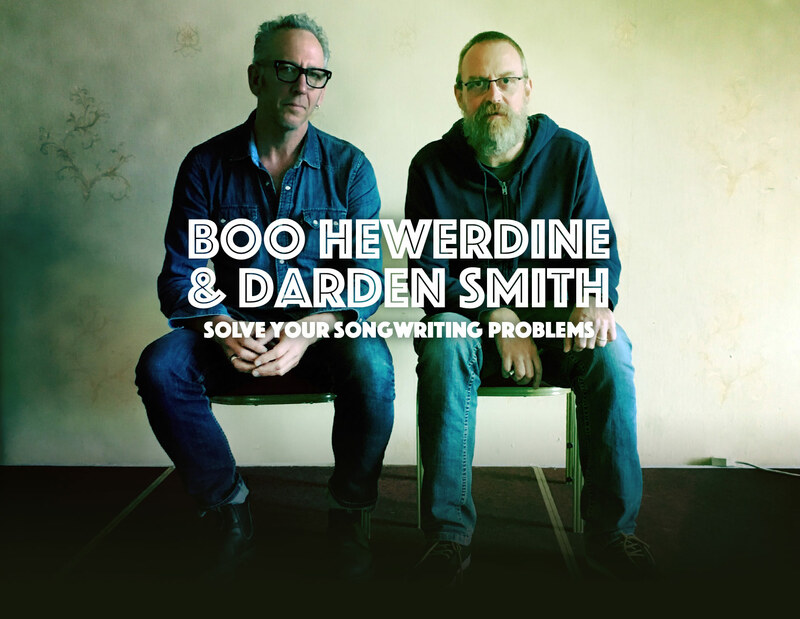 That original collaboration resulted in not only the critically acclaimed album, Boo Hewerdine and Darden Smith – Evidence, but more than that, it started a 30-year collaboration and friendship. Though their solo careers have gone different directions, the one constant has remained their passion for the craft of songwriting. Now, Boo and Darden come together several times a year to lead songwriting workshops. They want pass along some of the lessons, tricks and processes they’ve learned over their many years in the business, hoping they can help other writers from all levels of expertise write better songs. Boo and Darden take time during the week to sit one-on-one with each participant, helping to identify goals and create a path to success for their writing. That will look different for each student. To some it might be a roadmap to recording an album, or steps to doing more shows, making it a career. Others want to re-waken their creative energies, make a life more based around music. For many, it’s simply to become a better writer, to finish more songs. At the end of the week, each participant records at least one song on-site with a professional engineer. The highlight of final evening is a listening party of songs written during the week. Through a week of collaboration, group meals, evenings spent passing around songs, a sense of community is created. Many past participants keep working together long after the workshop has ended, writing songs and singing on each other’s projects. Boo and Darden have both built lives based on songs. Their courses are designed to give you the tools to do the same, but not take thirty years to make it happen!